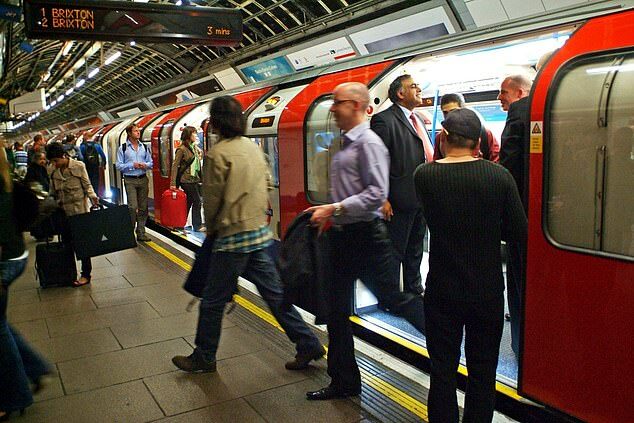 The London Underground is used by 1.35 billion passengers every year and is one of the most famous transport systems in the world. But there is still lots to discover about it. 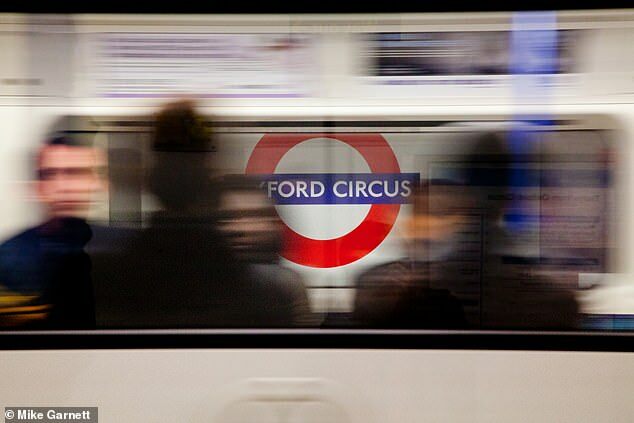 We put 15 questions about the Tube on topics ranging from the causes of signal failures to the speediest trains to its Head of Network Delivery, Richard Jones. Here we reveal his fascinating answers – the inside track on the Underground from a top insider. Q. When the Underground announces that there has been a ‘signal failure’ – in what ways has the signal ‘failed’? A. The term ‘failure’ to describe a signal showing red is engineering terminology and could be described as a little misleading to the layperson. The signal itself may not actually have failed but the signal light remains red because something is making it unsafe for the signal to be turned to green and allow a train to proceed. That something could be anything from something like a newspaper jamming of the points on the rails which control the route of the train to a cable fault or an electrical circuit being short-circuited by litter. Q. Can you reveal which line is the most reliable in terms of signalling? A. The line with the fewest signal failures is the short but absolutely crucial Waterloo & City line (affectionately known as ‘The Drain’ by some customers). However, it would be incorrect to call other lines, which are longer, run more trains and have more complex operating conditions, unreliable. So, for absolute reliability the Victoria line is the top performer due to the speed of its service, the frequency of trains and the numbers of customers it carries. Q. How are Victoria line trains able to run around 100 seconds apart? A. It’s a case of every little bit helps. It was opened in 1968 and was upgraded in 2009 so has many advantages of being ‘modern’. To get technical, it has a moving fixed block signalling system which allows its trains to travel closely together in complete safety. The on-board signalling system allows every train to be driven in the same way (i.e. stopping and starting at the same place on each platform) removing human error. The trains can accelerate and brake quicker than others. The line was designed and built to use gradients where possible to help trains accelerate out of stations and slow down when approaching them. A. Interesting question and there is an urban myth that time itself can bend on London Underground. On the Circle line, the travel information boards get their arrival timings from the train position. If a train is held outside a station then the board will continue to show the correct estimated arrival time using that distance. With newer technology on some lines, a minute’s wait can suddenly change to seconds as something occurs (an empty train ahead may be diverted into sidings, for example) which enables a quicker arrival than scheduled. The Circle line signalling system is being upgraded and this will lead to an increased frequency and a better reliability of the service. The countdown will be much more accurate depending on how far away trains are from the station. Q. What are some of the surprising causes of Tube delays at stations? A. Surprisingly, it is the little things that can have the biggest consequences and we appeal to our customers for their help with this one. Ball point pen caps, coins, newspapers and bottle tops falling into the door slots and preventing them from closing are a regular cause of trains being unable to move. During the winter, scarves, coats and bags get caught in carriage doors and also customers leaning on them or holding the doors open can prevent a train from moving or suddenly jolting to a halt shortly after departing a platform. Q. Which Tube train has the highest top speed and what is it? A. The absolute top train speed is on the Metropolitan line and is around 62 mph on the outer sections. Central line trains also come very close to this, again on the outer sections of the line. Q. Which Tube trains can accelerate the fastest? A. Victoria line trains are the quickest to accelerate, with four AC modern motors driving each eight-carriage train. A. There is a healthy rivalry among staff as to which line is the most important and their reply to the question will always be ‘the one I work on’. 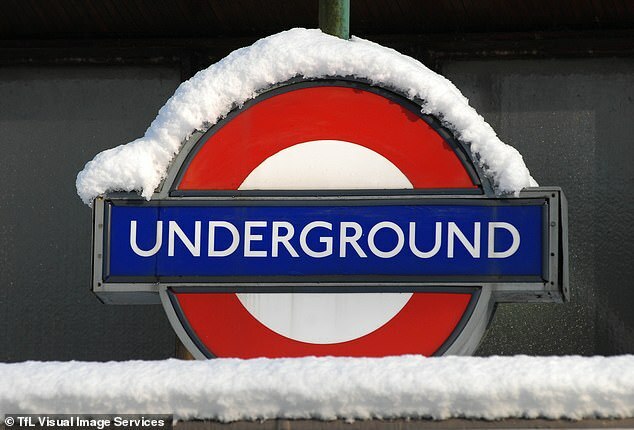 The correct answer is, as with so much about the Tube, that it depends on the time and the place. For example, the Waterloo & City line is essential to City commuters while nothing is more important than the Piccadilly line when a customer needs to get to Heathrow to start their holiday. 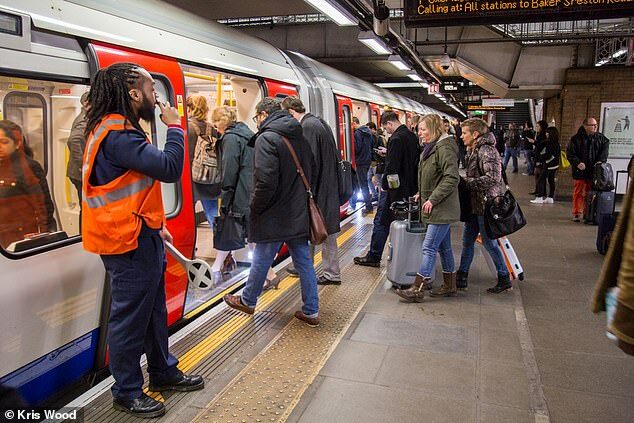 The Central line is busy all of the time, both during the peak and off peak times and helps to connect outer London with the centre. Our statement that ‘Every Journey Matters’ recognises that all lines are important to the individual travelling on them at the time. Q. Is there one button that turns off the power to the whole network? A. Much as the idea might appeal to some, there isn’t just one button to push or switch to flick. Every night just after 1am, the ‘juice’ is turned off to most lines to allow engineering work to be carried out. It is turned on again at around 5am. Q. Are there any drivers who have quirky previous jobs? A. There was a driver on the District line who was a very keen and active amateur astronomer who, in his backyard home observatory, had a decommissioned Tube cab seat from which to watch the heavens. He was invited all over the world to observatories to help with their stargazing duties and won an international award from one in Hawaii for his work. Q. Do drivers have any psychological help from TfL for dealing with being in a tunnel for long stretches of the day? A. Our drivers have fully assessed roster patterns that mean they have a limited time in a cab at the front of a train and this helps with job focus and work life balance. We also have an occupational health team that supports all of the teams that work in TfL. Q. Could the Underground trains run on the national rail network? Or is it the wrong sort of voltage/track width? A. In some places they already do (north of Queens Park on the Bakerloo line and the District line service to Richmond). The track width is standard across the UK, however there are variations in how the trains get power. On London Underground we use a 4th rail system at ground level whereas on national rail, overhead lines or a 3rd rail system are in use. Some of our old trains which ran on the Bakerloo, Central and Piccadilly lines, appropriately converted, now run on the Isle of Wight, and the old District line trains are used on some routes in the Midlands. Q. If drivers are held at a red signal for a long time – are they always told why as a matter of course? If not, why not? A. The short answer is ‘yes’ although sometimes it can take a while to confirm exactly what the issue is. Each line has a Service Control Team of which one member is a Line Information Specialist who is always talking to the train drivers to let them know what is happening with the service. Customers want to be reassured, kept informed and updated with the latest travel information quickly and clearly. That’s why drivers will often make announcements about red signals, being held or ‘regulated’ (spaced out) at stations and delays. Q. What rules are there about making announcements to passengers? A. Most of our drivers understand the right timing and frequency of giving information to passengers. We expect them make an announcement if a train stops in a tunnel after 30 seconds and after 90 seconds if it is alongside a platform. Customers need reassurance but also they need up-to-date travel information to be able to change their journey plans on the move if necessary. Q. What sort of training do drivers get with announcements? Are they told to memorise stock phrases? A. Scripts are used in training but only as a guideline. We’re happy for drivers to personalise their messages and we know customers like that personal touch, particularly when there is a major event happening, such as the World Cup. Our drivers receive a lot of positive comments for this. There are also automated announcements to cover routine matters such as the next station and interchange information. It wouldn’t be practical to expect every driver on every journey to announce these.